Learn about the key technologies and understand the state of the art in research for full-duplex communication networks and systems with this comprehensive and interdisciplinary guide. Incorporating physical, MAC, network, and application layer perspectives, it explains the fundamental theories on which full-duplex communications are built, and lays out the techniques needed for network design, analysis and optimization. Techniques covered in detail include self-interference cancellation and signal processing algorithms, physical layer algorithms, methods for efficient resource allocation, and game theory. Potential applications and networking schemes are discussed, including full-duplex cognitive radio networks, cooperative networks, and heterogeneous networks. 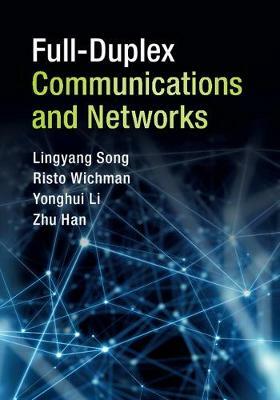 The first book to focus exclusively on full-duplex communications, this is an indispensable reference for both researchers and practitioners designing the next generation of wireless networks.